Okaaspain, tienda online de botita galesa con borlas en piel serraje. 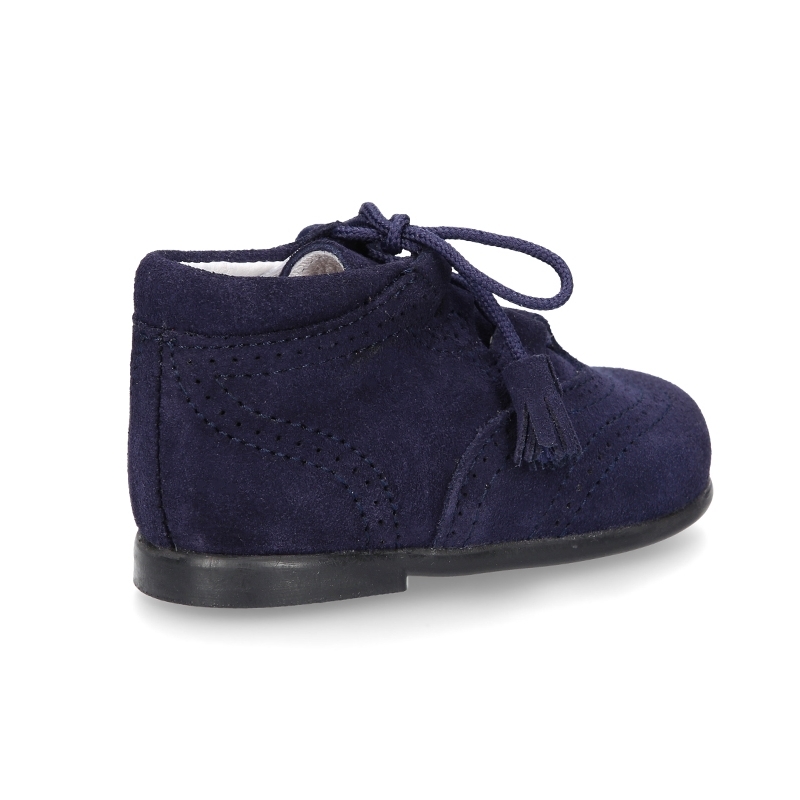 > First Steps>English & Blucher Shoes>Suede leather Welsh or English style ankle boots with tassels. 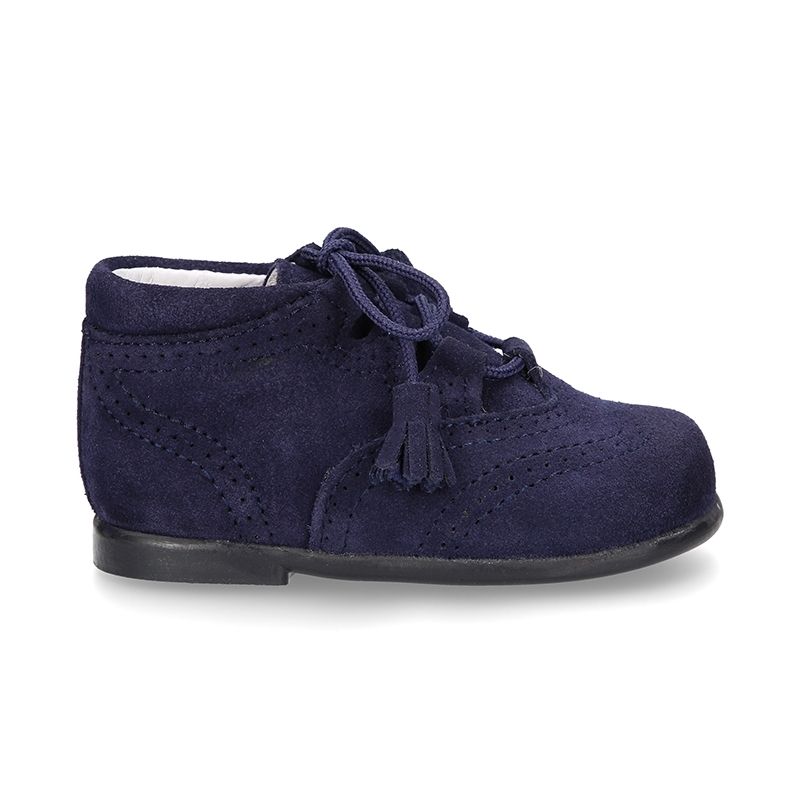 Suede leather Welsh or English style ankle boots with tassels. 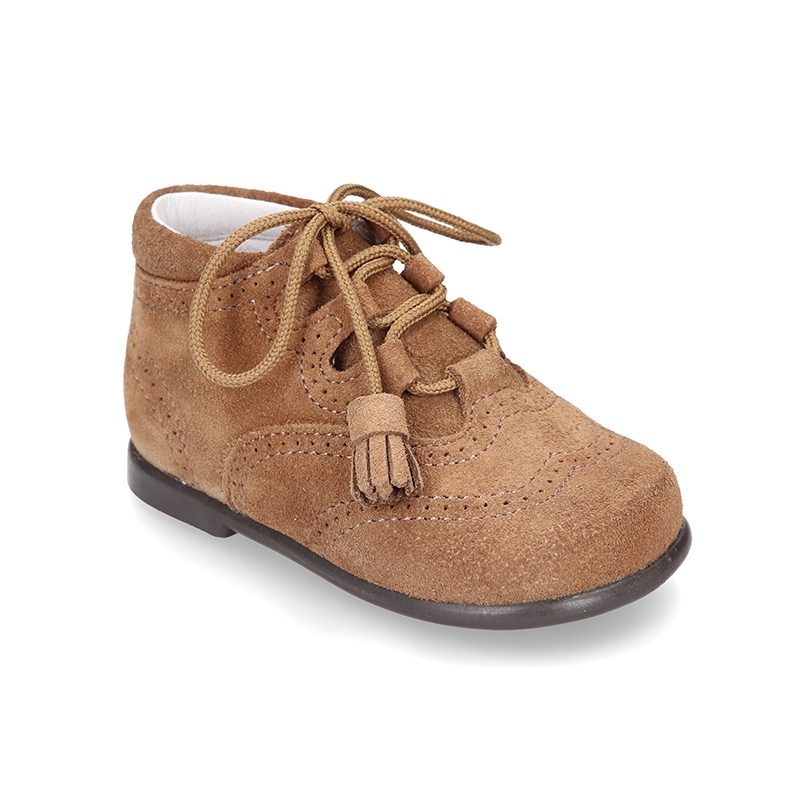 Suede leather Welsh or English style ankle boots with tassels for first steps. 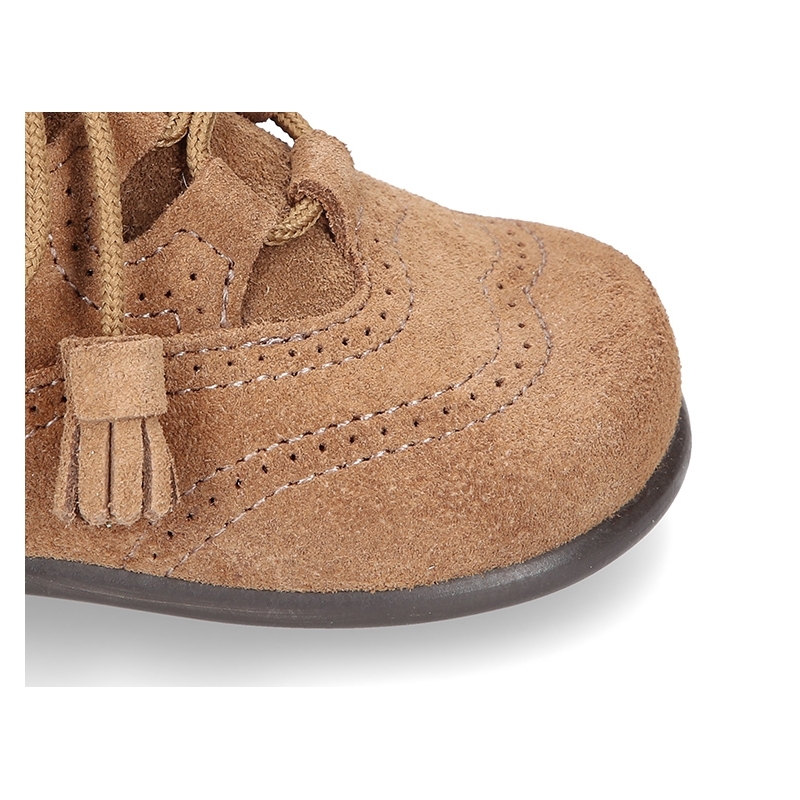 More info about Suede leather Welsh or English style ankle boots with tassels. 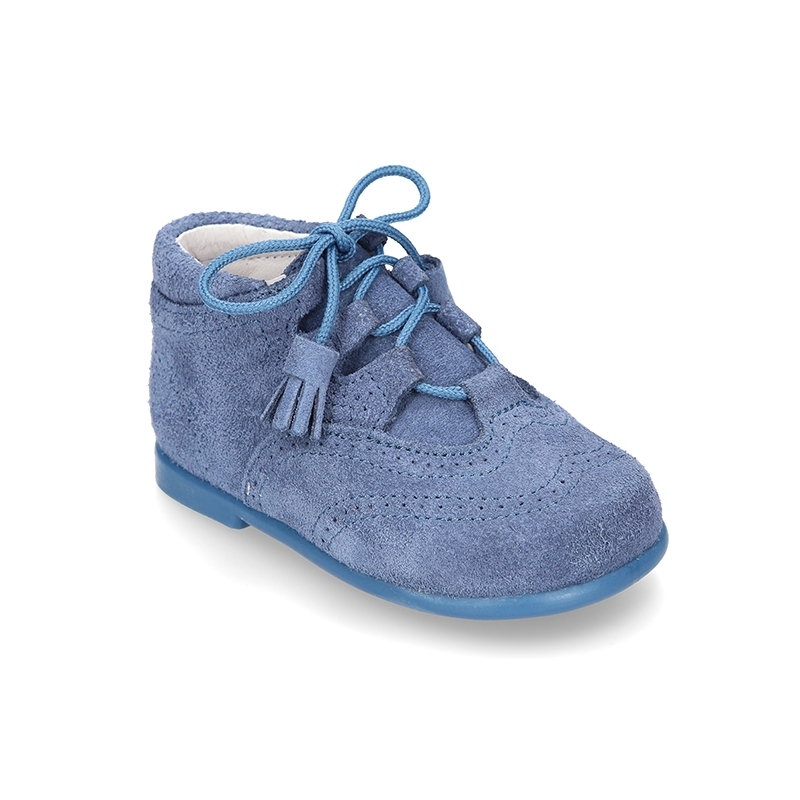 Suede leather Classic English style ankle boots fitted with laces with tassels for first steps. 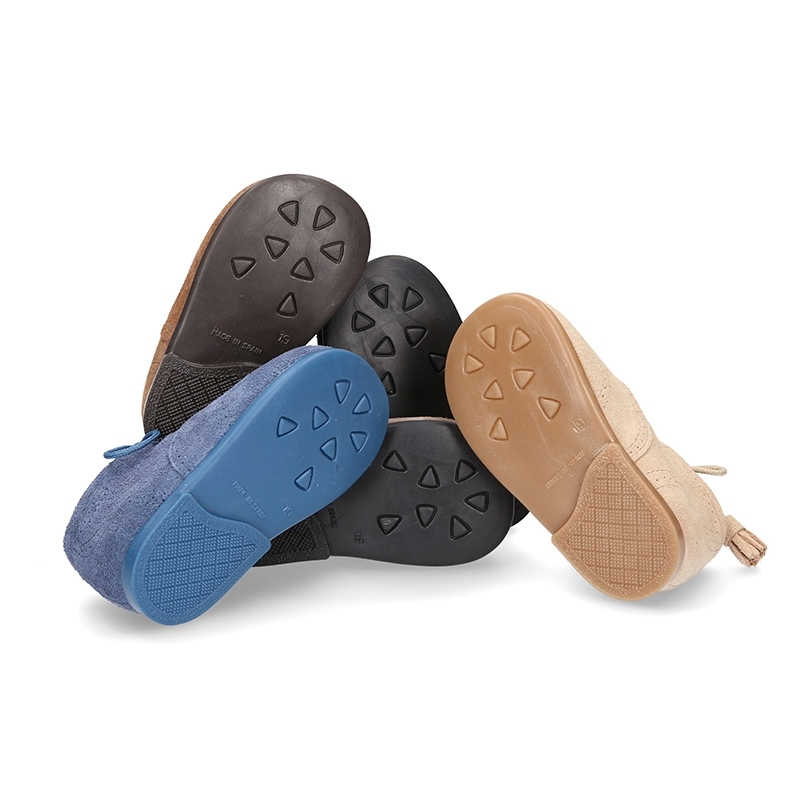 With shoelaces which improve fastening. 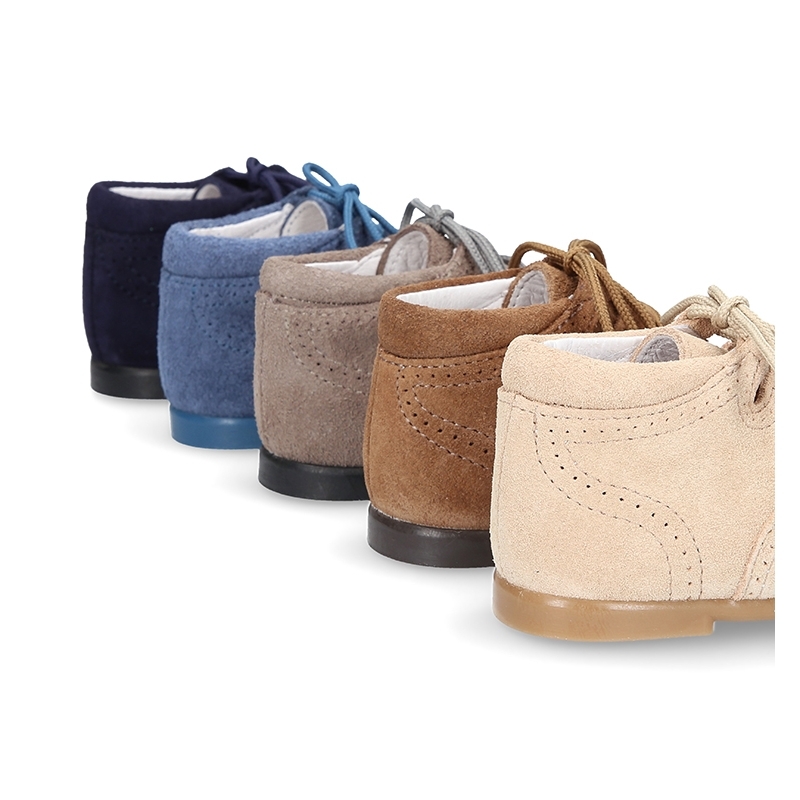 Made up 100% of high quality natural suede leather. Really smart to dress this autumn-winter!. 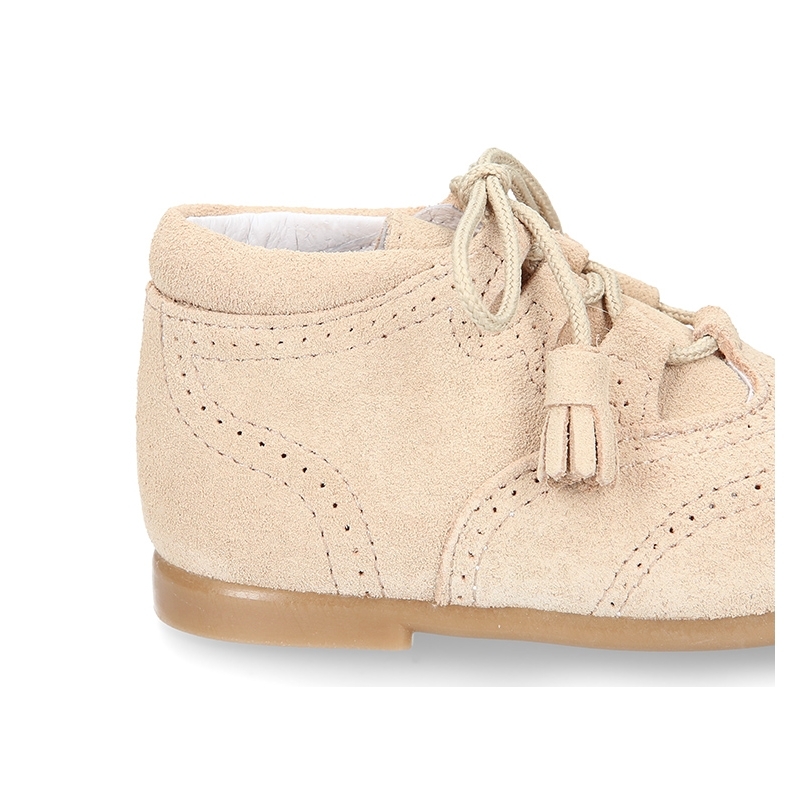 It´s the perfect shoes for to begin to walk for their flexibility. Very comfortable and flexible model. It´s a new model totally updated of the classic one. 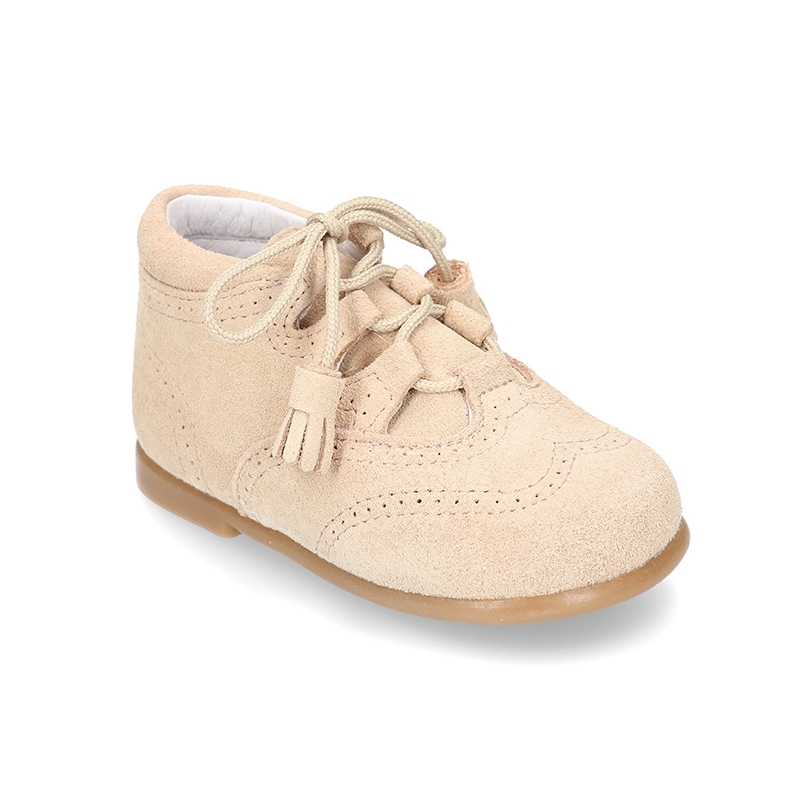 With shoelaces with tassels for a better dress effect. Available in 5 colors. 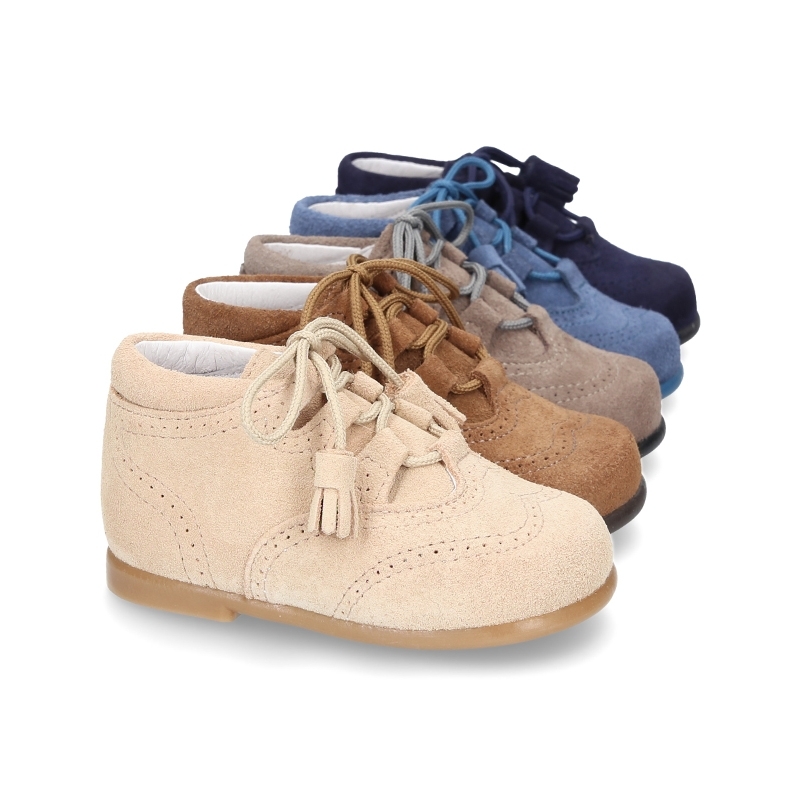 Sizes range: from 18 Euro size up to 24 Euro size. SIZING REGULAR. 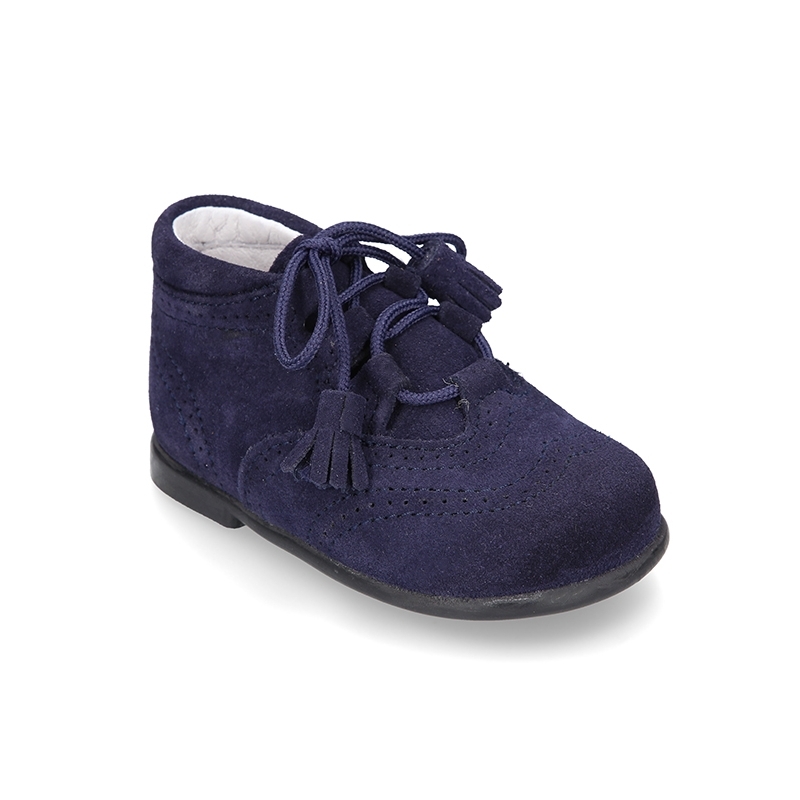 Data sheet about Suede leather Welsh or English style ankle boots with tassels. 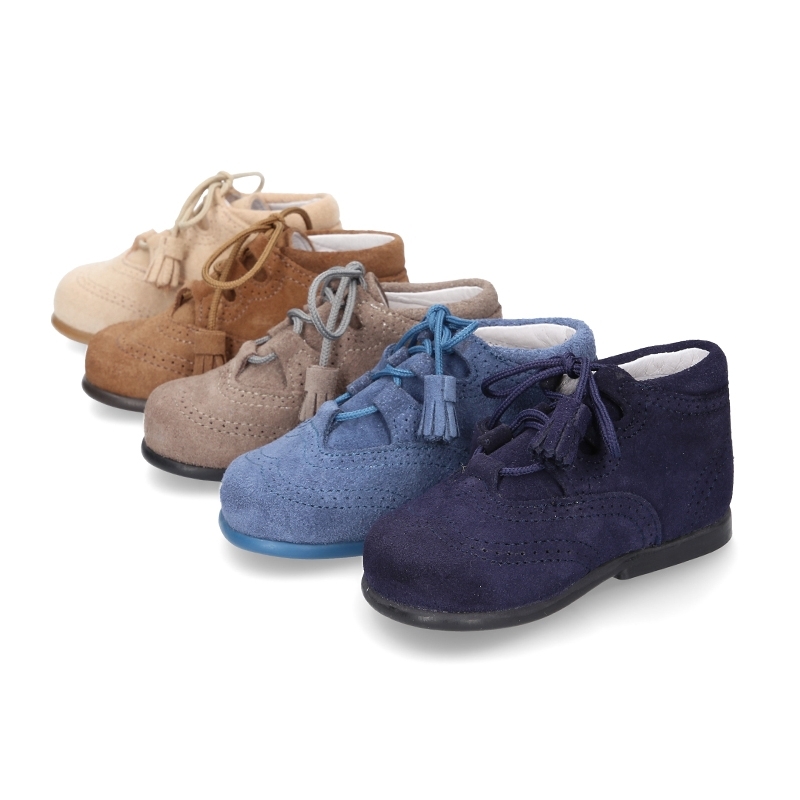 Medidas sobre Suede leather Welsh or English style ankle boots with tassels.